I sit and look at myself all day and cry. I have a big hole in the middle of my face that scares people even myself so I cant blame the boys for not wanting to take me out. My mother loves me, but she crys terrible when she looks at me. The advice column started out as a bit of a joke, a circulation stunt for the newspaper. But after months of answering painful letters from desperate readers, Lonelyhearts is feeling worn down by it all. He realises that his readers take the column seriously, that they genuinely believe Miss Lonelyhearts will provide guidance – a potential solution to their problems. When the old man still remained silent, he took his arm and twisted it. Gates tried to tear him away, but he refused to let go. He was twisting the arm of all the sick and miserable, broken and betrayed, inarticulate and impotent. He was twisting the arm of Desperate, Broken-hearted, Sick-of-it-all, Disillusioned-with-tubercular-husband. I’ll be honest here – I struggled to connect with Miss Lonelyhearts. I think it’s fair to say that I’m probably not on the right wavelength for this novella. I found it overwhelmingly warped and twisted and fractured, too dark for my personal tastes (and I usually like ‘dark’). It’s a satire, a rather brutal one at times. The vulnerable and defenceless seem to get a raw deal, and I think that’s one of the reasons why this story didn’t sit well with me. It appears to offer little hope for redemption, perhaps a faint glimmer towards the end, but it’s still pretty bleak. 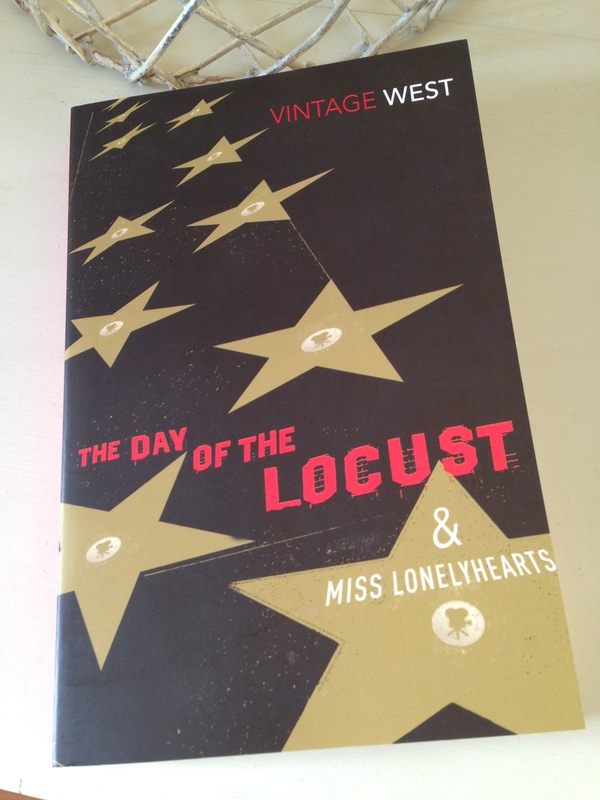 I read Miss Lonelyhearts with Seamus at Vapour Trails – we’re posting our thoughts today, the anniversary of the novella’s publication. It’s a reread for Seamus, and I know he rates it very highly. (I wanted to love it too but couldn’t for the reasons I’ve tried to convey – it pains me to write this piece.) All this leaves me eager to read his review as I’m sure it will give me a better appreciation of Miss Lonelyhearts. Miss Lonelyhearts is published in the UK by Vintage Books (the story starts on pg. 171 of my edition). Source: personal copy. Book 17/20 in my #TBR20. This entry was posted in Book Reviews, West Nathanael and tagged #TBR20, Book Review, Fiction, Nathanael West, US, Vintage Books on April 8, 2015 by JacquiWine.